How to get your AirPods set up, control your music with Siri—and what happens if you lose one. Apple's AirPods are the company's truly wireless earphones. They're available for $159. If you’re still on the fence about the AirPods, you can read this FAQ to be better informed. And since we first posted this article, we did a complete AirPods review, we did workouts to see if they stay in place, and Apple updated the Find My iPhone app to work with the AirPods. 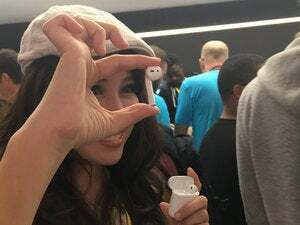 We’re also seeing incredible enthusiasm for AirPods, with 98 percent customer satisfaction based on Creative Strategies’ survey. We have increased production capacity for AirPods and are working very hard to get them to customers as quickly as we can, but we are still not able to meet the strong level of demand. If you’re still on the fence about the AirPods, you can read this FAQ to be better informed. And since we first posted this article, we did a complete AirPods review, we did workouts to see if they stay in place, and Apple updated the Find My iPhone app to work with the AirPods. 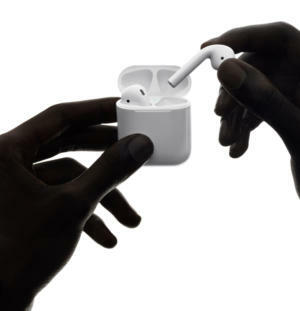 Here’s how to get the AirPods set up (it’s so easy!) and use them to control your music (a little less easy). For those about to rock, an AirPods guide. Editor's note: Updated 9/14/2017 with information about the price and ship date for the new wireless charging case. Pairing your AirPods to an iPhone or iPad for the first time is ridiculously easy. If your device is running iOS 10, all you have to do is flip open the lid of the AirPods’ charging case, and you’ll see a message on your nearby iPhone asking if you want to connect. (If your phone is locked, you have to unlock it first and then tap the Connect button. And if nothing happens at all, check your iPhone to make sure Bluetooth is turned on.) If you want to see this, check out our unboxing video at the bottom of this article. That’s it, you’re done. Your AirPods will stay paired to this iPhone—and a paired Apple Watch, if you have one of those too. If you start playing a song on your iPhone, and then you start another song playing on your Apple Watch, the AirPods will switch to the Apple Watch. If you’ve already paired the AirPods to your iPhone, and it’s signed into the same iCloud account as your Mac (running macOS 10.12 Sierra), you don’t have to go through the pairing process again. Just click the Bluetooth icon in your Mac’s menu bar and you’ll see the AirPods there. Mouse down over them and click the word Connect when it comes up. Or you can Option-click the volume icon in the menu bar (System Preferences > Sound > Show volume in menu bar if you don’t see it already) and choose AirPods as your Mac’s output device. What if you want to use the AirPods with an Android phone, or a Kindle Fire tablet, or even an Apple device that isn’t running the latest and greatest OS? You can! The AirPods don’t have a pairing button on them, but the charging case does. Stick the AirPods in the charging case, and then look for a round, white, barely visible button on the back of the case. With the case’s lid open, press and hold that button, and you’ll see the teeny-tiny LED inside the case turn white. That means the AirPods are in pairing mode, so you should be able to use the menus on the device you’re trying to pair with to get them connected. There are a couple of ways to check the battery level on your AirPods. You can ask Siri, by double-tapping either AirPod, and then asking, “What’s my battery level?” when you hear the Siri chime. Siri will tell you if any of your devices—iPhone, Apple Watch, and AirPods—is running low on battery. If both AirPods are in the charging case, you can flip open its lid and you’ll see a pop-up on your paired iPhone that displays the battery life of each AirPod, plus the case. Or, swipe up from any page to bring up the Control Center, and swipe to the pane that shows your Music app. If your AirPods are connected, you’ll see “Now Playing on [Name’s] AirPods” at the bottom of this pane. Tap the downward-facing arrow next to that, as if you were going to change the playback device to your iPhone’s speakers, and you’ll see how much battery each AirPod has left. The default way to invoke Siri is to double-tap on either AirPod with your finger. If you hate Siri, though, you can change the double-tap behavior in Settings. Start in Settings > Bluetooth, and then tap the lower-case i icon next to your AirPods in the list of Bluetooth devices. On the next page, in the section labeled Double-tap on AirPods, you can choose Siri, Play/Pause, or Off. 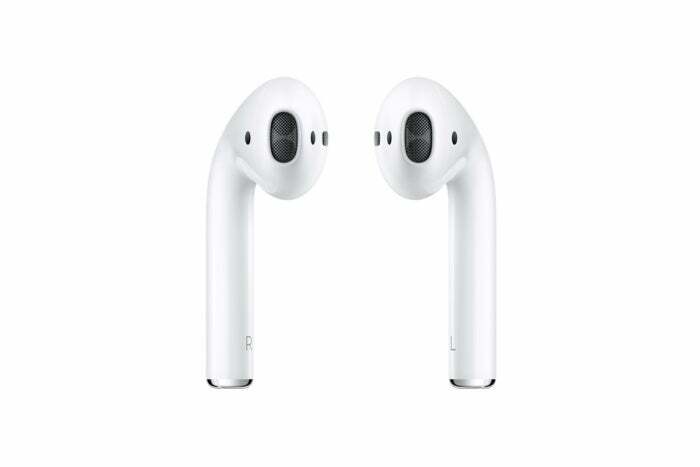 You can take one AirPod out of your ear to pause the music, and then stick it back in your ear to start it playing again. Assuming you keep the default behavior to double-tap an AirPod to talk to Siri, you’ll need to use Siri for the rest of your playback tasks. Here are a few commands you can use, and these work whether you’re listening to the Music app, or another app like Spotify. If you are listening to the Music app, you can ask for specific songs, albums, artists, and playlists (in your library if you aren’t an Apple Music subscriber, or across the whole Apple Music service if you are), and you get more commands. Obviously, using Siri to control playback has some lag. First you have to double-tap the AirPod and wait for the chime that lets you know Siri is listening. Then you have to speak your query and wait for the iPhone to parse it. It’s a lot less convenient than, say, the Beats Solo3 or other wireless headphones that put more controls right on the headphones themselves. But the AirPods are a lot smaller, so it makes sense that they wouldn’t have buttons. Apple could perhaps add support for a second gesture (say, a triple-tap to join the double-tap), but what is here is a good start. The AirPods will last about five hours per charge, according to Apple. The case holds a battery too, and you stick the AirPods back in the case to charge them. The little light inside the case glows orange when the AirPods are charging, and magnets keep them snug in the charging case, even if you turn it all the way upside down. Each AirPod fits exactly in one of the two openings, so as long as they’re in there and you can close the lid, they should be properly seated for charging. With the original case, just connect a Lightning cable to the port on the bottom. Then connect the other end to an AC power adapter or a USB port on a Mac. 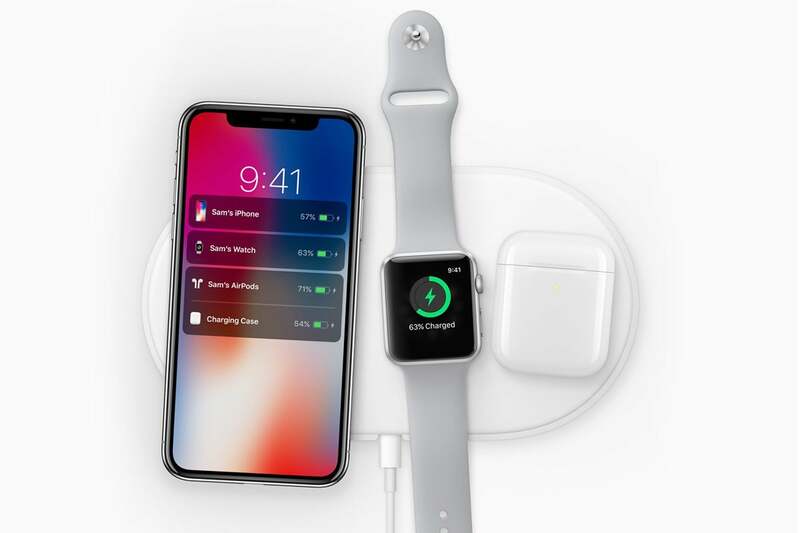 In September, Apple revealed a new AirPods case that works with Apple's new AirPower charging pad. To charge the new wireless case, you place it on the AirPower. If your AirPods are in the case, you’ll see an orange light if they’re charging, or a green light when they’re nearly fully charged. If no AirPods are in the case, the light still goes on when you open the lid, but it indicates how much battery life is left in the case itself: orange for needs charging and green for good life left. A report from MacPrime in Switzerland states that according to Apple Switzerland, the wireless charging case will be available in December for $69. Real talk—are they going to stay in my ears? They’re staying in my ears just fine! Seriously, check out the video below. I headbang, jog in place, and perform a pretty wild shadow boxing kind of a dance, and they didn’t budget at all. Our own Caitlin McGarry found that the AirPods stay in place during tough workouts. To compare, I’ve been wearing the free EarPods that Apple includes with an iPhone, and those don’t stay so firmly in place as the AirPods do. 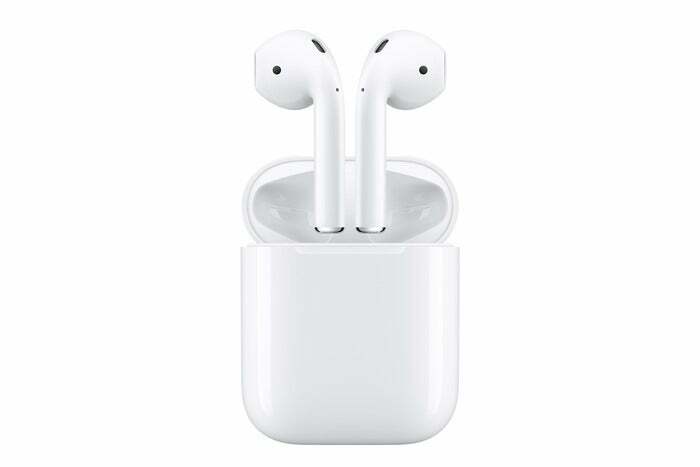 The EarPods are a little lighter, and I do tend to catch the cable on something pretty frequently, say, a few times a week), whether snagging them on a doorknob or the armrest of a chair, or having to adjust the cables under a scarf or hoodie so they don’t tug the EarPods out of my ears. The wire-free AirPods, on the other hand, just perch in my ears perfectly, and don’t move when I do. You’ll be pretty sad. But it’s not the end of the world. 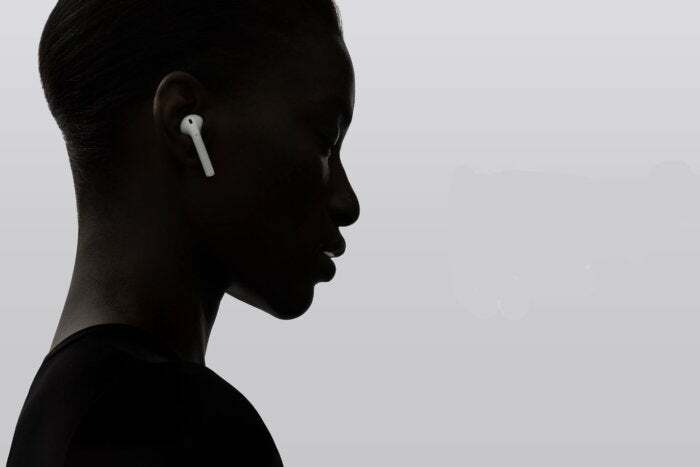 Apple has confirmed that it will sell replacement AirPods (left or right!) through “normal service channels,” meaning Apple stores and authorized service techs. The prices are outlined in this service document, but a lost AirPod will cost $69 to replace, and a lost charging case is $69 as well. OK, I didn’t lose my AirPods, I misplaced them. How can I locate my AirPods? There’s an app for that. Really. The Find My iPhone app can locate your AirPods. But in order for the app to work, your AirPods have to be powered on and connected to your iPhone. If your AirPods aren’t on, or they’re out of range, Find My iPhone won’t be much help. Get more info on using the Find My iPhone app to find your AirPods.